ABCD Diaries was recently given the chance to review Tracie Long's Longevity Series on DVD. Read our review and enter to win a set of all 3 DVDs below. 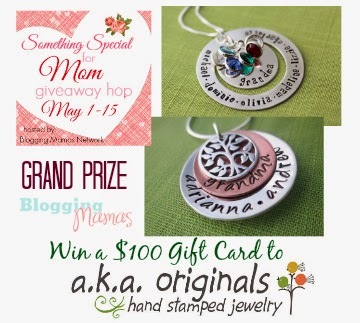 Then visit all of the other blogs in the linky below for your chance to win more great prizes for Mom! Defining Shape, Staying Power and Step Forward ,Long has proven again that women of all ages can feel fabulous, gain flexibility and strength, and have more energy to get through their hectic work and home schedules. Defining Shape, Staying Power and Step Forward are available April 8, 2014 from home entertainment label Shelter Island at a suggested retail price of only $14.98 each." Wowza! If you are looking for a wimpy workout, keep looking! This series is recommended for those who really want a good workout. Each DVD features a 50 minute workout and lots of extras. You may need extra equipment for some of the workouts like weights, but nothing too extravagant. These DVDs are great for toning muscles, increasing cardiovascular activity and strength and toning target areas that are often problem areas for women over 35. If you're wanting a workout regimen that is sure to bring results, be sure to check out Tracie Long's Longevity Series! ABCD Diaries gives this workout series an A+!